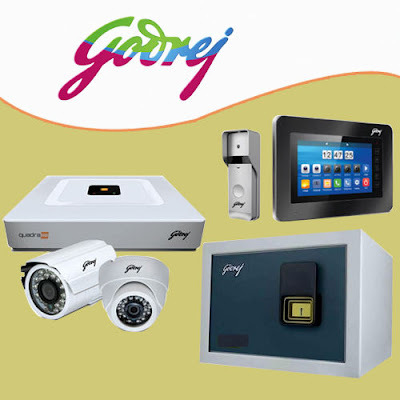 Embarking on a high growth strategy in the Indiani market, Godrej Security Solutions (GSS) has unveiled -Safety Design in Buildings, Smart Home Pavilion, Drone Pavilion, Wearable Security Pavilion and Job & Career Pavilion. Amalgamating the need to make security chic and the ease of wireless security that empowers consumers to confidently state - 'I Am Secure', GSS has introduced the wireless range of home cameras - EVE Series. EVE - which is a contraction of the product's USP, 'Easy Viewing Everywhere' - encompasses five variants, EVE Mini (1.3 MP), EVE Cube (1MP & 2MP) and EVE PT (1MP & 2MP). The EVE series is capable of directly streaming live feeds of a premise to the smartphones of home owners, and helps one to not only watch over their loved ones but also listen in on what's happening there, remotely from anywhere in the world. Mehernosh Pithawalla, Vice President and Global Head - Marketing, Sales & Innovation, Godrej Security Solutions, said, "The year 2017 saw smart devices leading to #SmartLife. From Smartphones to Smart Homes - every innovation has brought about a seamless life experience. Home security solutions too have been undergoing a makeover. Consumers' buying decisions have evolved over the last decade in line with the rising per capita spending capacity. Bangalore is the city of dreams for many and has always been one of the top cities to usher in lifestyle trends - hence we launched our EVE range of home cameras that will provide consumers an experience of utmost convenience and ensure peace of mind. the city has a huge working population, hence a product like Eve Series will be ideal to watch over loved ones back home or watch over your premises here while you are away for a short trip to your home country." EVE home cams are equipped with auto-record function based on motion sensing and will trigger notifications to the owner's handset every time they sense some suspicious motion. They are built as plug-and-play devices. All functionalities can be controlled from the app resting on the owner's smartphone. They can be charged on the go by a power bank.